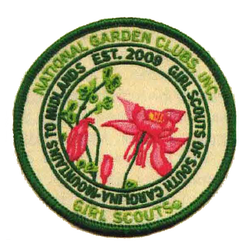 the National Garden Clubs Native Plants Patch. scouts as they began there quest for knowledge about Louisiana Native Plants. See the pictures below. Jan Wyatt and Henrietta Boriskie.